Das TAG is short for Theater an der Gumpendorfer Straße. 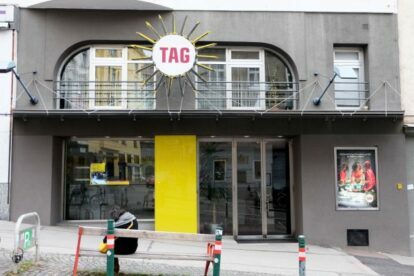 I might have to disappoint the non-German speaking audience, as Das TAG is a contemporary theater with all performances in the German language. It’s well known for it’s modern interpretation of classics, like Hamlet by William Shakespeare or Faust by Johann Wolfgang von Goethe, but also for high-class professional improv-theater. The ambience of the theater is very simple and seemingly raw. The stage is compact and it’s design usually plain without decoration and kept at a low cost. The focus solely lies on the actors and actresses themselves and how they contribute to the play. With a maximum of 134 seats, the location has got an intimate and authentic feeling to it. If you are up for a cultural experience, away from the big stages like Burgtheater, Volkstheater or Theater in der Josefstadt, Das TAG is definitely a high-quality alternative to visit.